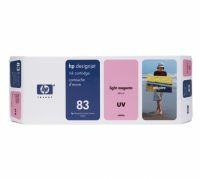 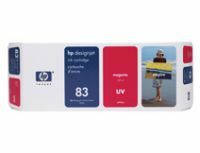 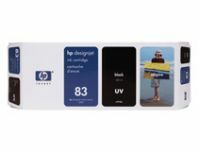 C4941A Six UV-resistant ink colours and HP's Jetexpress technology combine to help bring durability, unrivalled print speeds, and ultimate photo quality to production printing. To Recieve updates and possible rewards for Hewlett Packard (HP) HP 83 680 ml Cyan UV Ink Cartridge please sign in. To Recieve updates and possible rewards for Printer Cartridge, Ink & Toner please sign in.